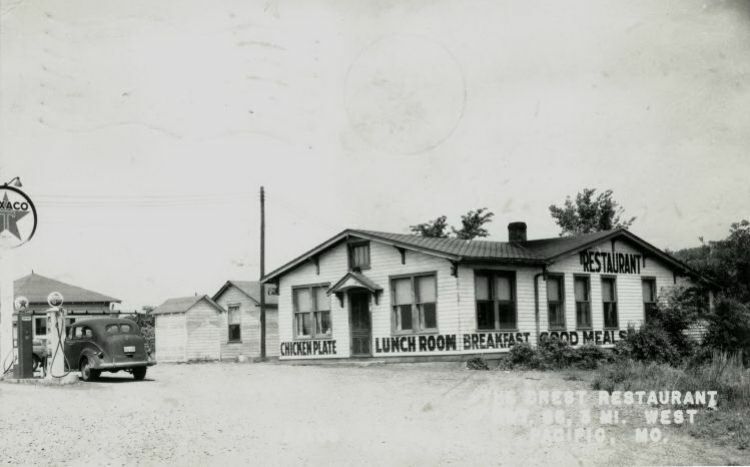 Ed and Dell Moore ran the Crest Restaurant and cabins, located where M & M Sales is located today west of Pacific. "We Specialize in Chicken and Steak Dinners". The restaurant was classy enough to accept reservations. The station is selling Texaco gas in this view, but later sold D-X products.